Confetti Balloons - Baby Boy - About To Pop! 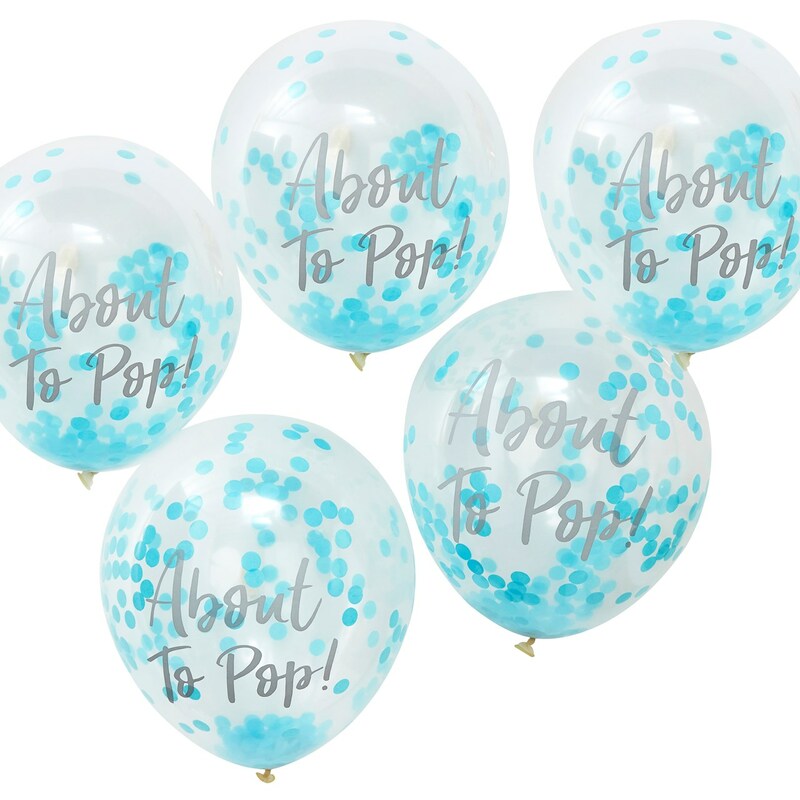 The cutest balloons for an adorable baby Boy shower our ""About to pop"" balloon will be a fun finishing touch to your party. Wow the mummy to be and have these dotted around your venue for a dreamy baby shower! Inflate these balloons with helium and air. Give the balloon a shake to wake the confetti! Combine with our tassel garland for an oh baby perfect day! Each pack contains 5 balloons measuring 12"" (Diameter).